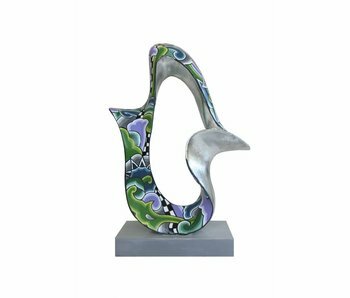 Sculpture Flow is part of the Silver Line. Handmade. Size: 42 x 20 x 10 cm. Material: marmorin. Packed in a representative box. 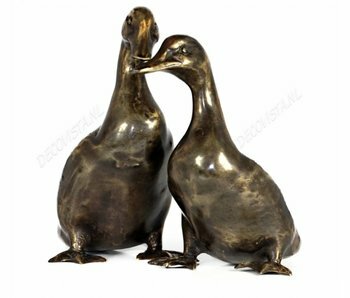 Pair of ducks, made of high quality solid, patinated bronze. Dimensions per duck: (height x length x width) about 20 x 20 x 12 cm. weight 3300 grams. Price is per set of two ducks. Sculpture Eternity is part of the Silver Line. Handmade. Size: 37 x 25 x 10 cm. Material: marmorin. Packed in a representative box. 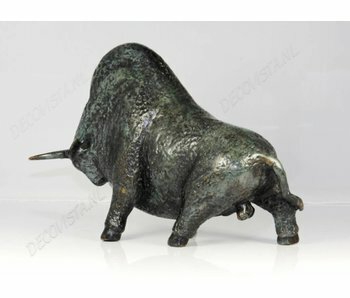 Bison sculpture in bronze, a handmade art object with a powerful shape. Finished with green patina. Size: H 19 x L 28 x W 13 cm., weighs approx. 3500 grams. Bronze dreamer in an abstract design. 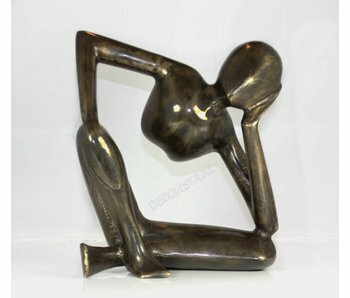 This modern sculture is handmade from solid bronze and weighs 3340 grams. 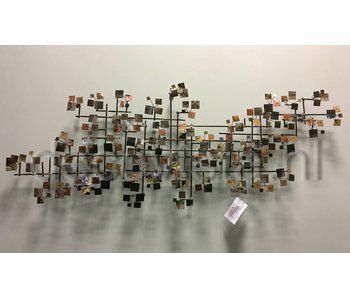 Dimensions: 26 cm x 22 x 9 cm. Bronze dreamer in an abstract design. 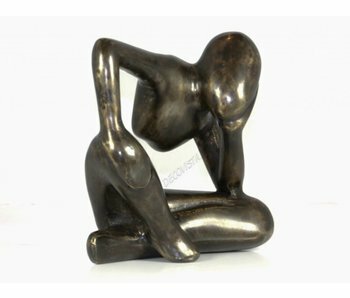 This modern sculpture is handmade from solid bronze and weighs 1280 grams. Dimensions: 16 x 16 x 9 cm.